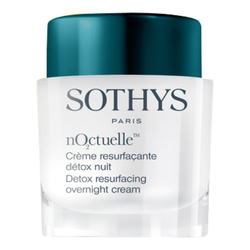 An eye contour that reduces wrinkles, puffiness, and dark circles around the delicate eye area. With soft focus powders, this eye cream immediately minimizes the appearance of lines while treating dark areas and inflammation by increasing micro-circulation and strengthening capillaries. 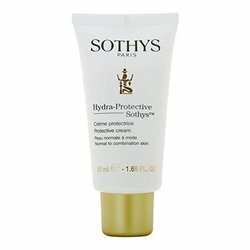 Sothys Multi-Action Eye Contour moisturizes, nourishes, and increases skin's natural protection for lasting youthfulness. Quickly treats dark circles and under eye bags. Replenishes moisture and nutrients for lasting vitality. Aqua (water) glycerin, isodecyl neopentanoate, cetearyl ethylhexanbote, aluminium starch octenylsuccinate, cyclopentasiloxane, butyrospermum parkil (shea) butter, butylene glycol, glyceryl stearate, boron nitride, cetyl alcohol, linum usitatissimum (linseed) seed extract, peg-75 stearate, ammonium acryloyuldimethitaurate / vp copolymer, olea europaea (olive) oil unsaponifiables, isopropyl myristate, fraxinus excelsior bark extract, glycine soja (soybean) oil unsaponifiables, triticum vulgare (wheat) germ oil unsaponifiables, ceteth-20, steareth-20, phenoxyethanol, medicago sativa (alfalfa) extract, sodium benzoate, sodium hyaluronate, carbomer, disodium edta, pollen extract, sodium hydroxide, chlorhexidine digluconate, glycolic acid, potassium citrate, silanetriol, ethylhexlglycerin, potassium sorbate, tocopherol, sorbic acid. Every morning and evening, gently massage half of a pump from the inner corner of the eye towards the temple and between eyebrows.